Sweater season calls for options: chunky cable-knit crewnecks, wooly turtlenecks, fleece popovers, and one of our current favorites of the moment, long cardigans. The substantial style is a little like a coat you can wear inside—and outside, too, if you happen to live in L.A.
Duster-length versions add a bit of drama to an everyday T-shirt-and-jeans outfit, while thigh-length cardis make even lightweight dresses seasonally appropriate. Snuggle up in a cozy neutral-hued style by Zara or Kenzo, or add a bit of welcome color to your wardrobe with Iro's ice-blue knit or Marni's fun stripes. Either way, you'll thank yourself once winter officially rolls around. 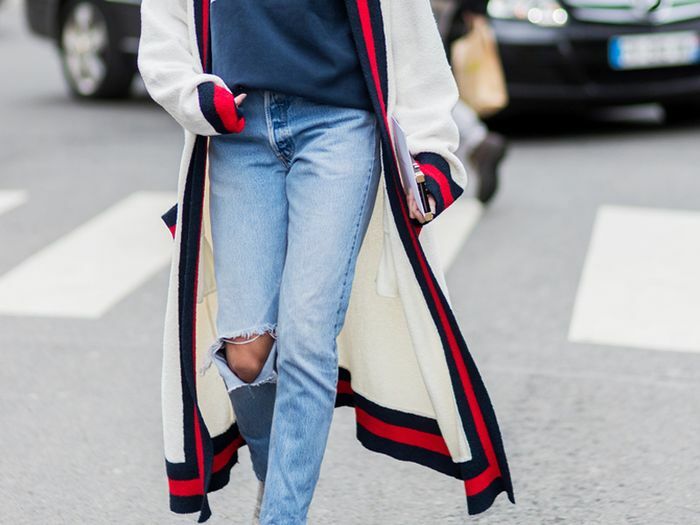 Below, shop 19 long cardigans we wish we were wearing right now. This is the ideal shade of taupe. A new take on stripes. Sustainably and ethically made, plus it's weighty enough to feel like outerwear. Keep this on your chair at work for chilly offices. Brighten up a dreary day with bubblegum pink. Betcha you don't have a cardigan with purple faux-fur cuffs yet. Everything about this cardi looks luxurious. The zippered front adds a touch of sportiness. Don't you want to wrap yourself in this perfectly draped sweater? Who knew a beige cardigan could look so badass? Yep, it's a hoodie too. The contrast trim elevates this easy sweater. The texture on this one is incredible. A classic style to throw on for some quick errands. With the cool lapels, this practically counts as a jacket, right? 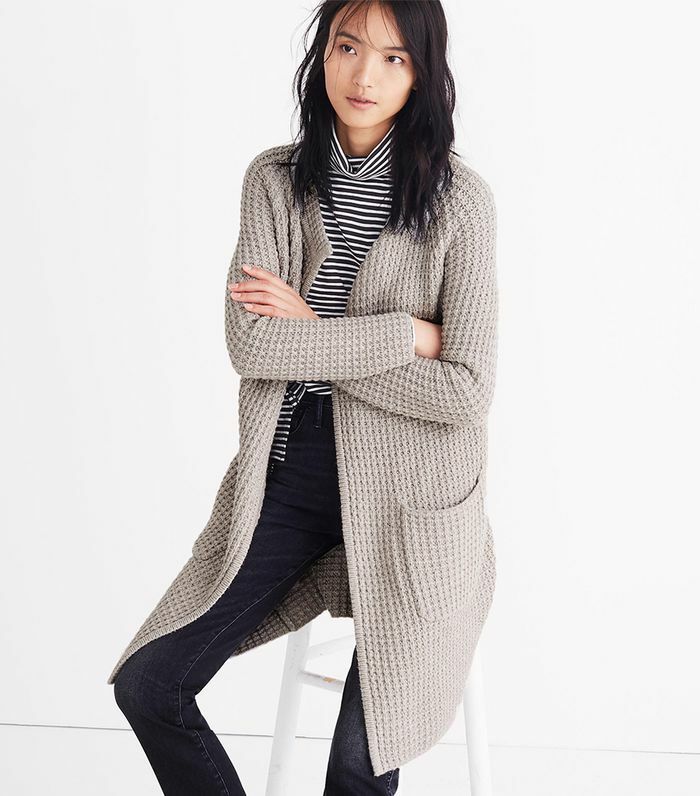 We always love a ribbed sweater. This duster style comes with an optional belt. Next, shop the 2018 trend you may not have seen coming.